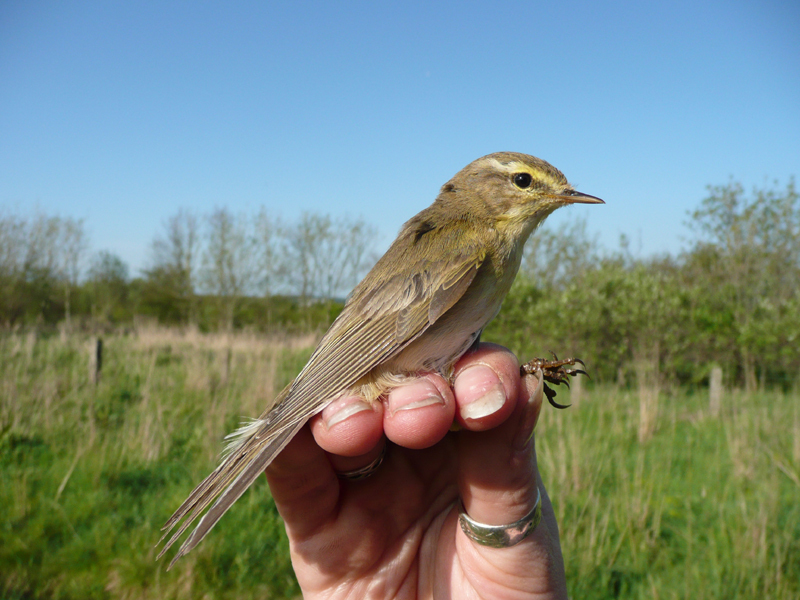 Today we did our first proper ringing session of the year at Druridge, it wasn't as productive as we would have hoped. It was already 12.5 deg C when we arrived at 05.30 am, by the time I left to go to work at 09.40 the car said it was 26.5! Catching was slow, we only managed to catch 7 birds and only one migrant, a willow warbler. Best of bird of the day though goes to this chaffinch, he was first ringed back in August 2003 as an adult, that makes him at least eight years old, not bad for a chaffinch! We've re-trapped him four times since he was ringed, he doesn't get very far. 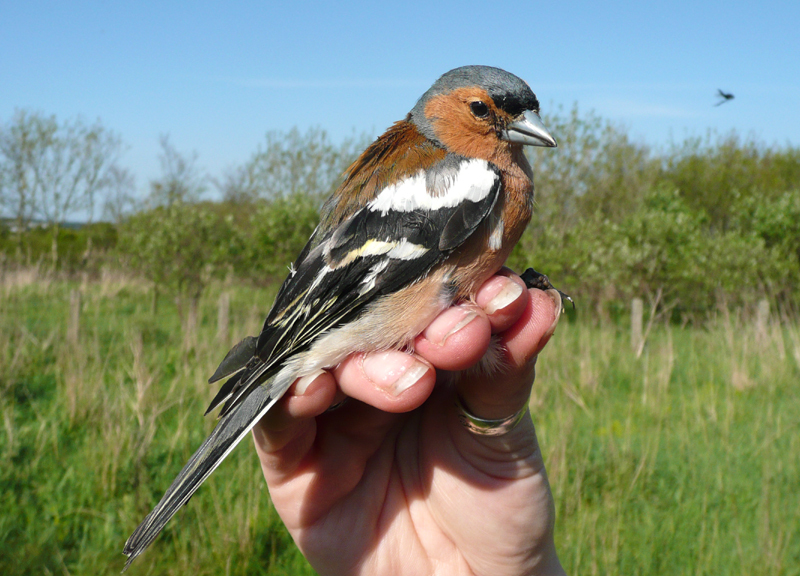 We also caught a female chaffinch, two blackbird and two robins. After I left to go to work, Janet persevered, but didn't catch any more birds, I think the millions of flies had gotten to her, they were mainly St. Marks Flies and they were EVERYWHERE! 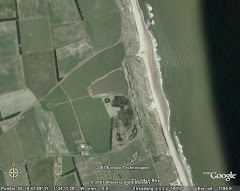 Plebs were out in force to, many of them deciding to camp in the dunes, the joys of summer at Druridge! 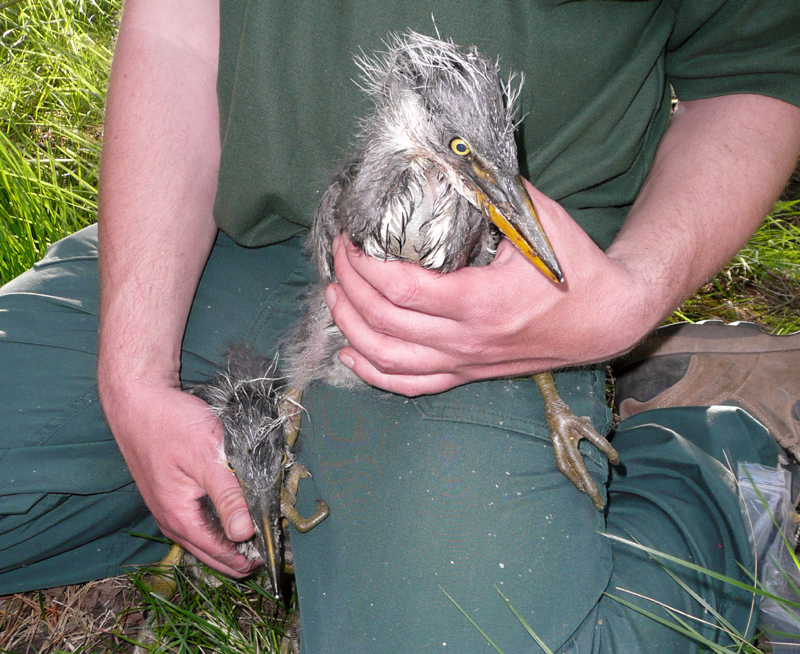 This evening we met up with John Richardson and his ladder to have another go at getting some more young herons ringed. We managed to get another five out three nests, including one very large youngster who will be fledged within a week. Found one of our Blackbirds dead on the lane yesterday. It was ringed on Feb 4th 2007 as an adult.